I have been good this month! My goal was to buy no more than 4 eyeshadow palettes, and I manged to buy just 3! 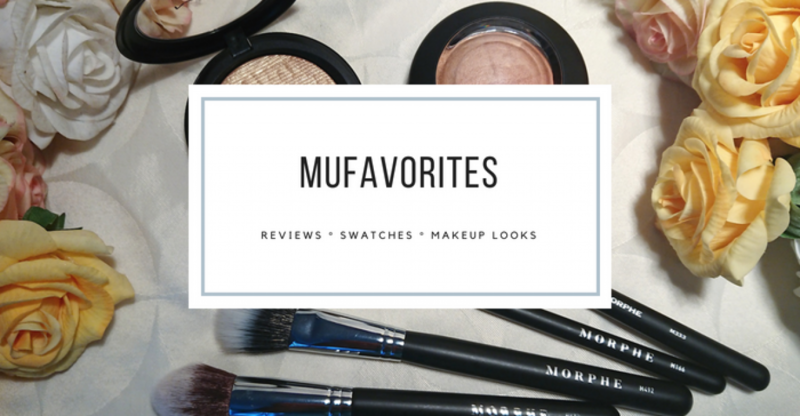 I know that probably seem crazy to many people that I consider 3 to be little, but after all I need 4 palettes a month to keep this blog running as it does now with one palette review every week. Now, I can off course just change that as I please but I really enjoy testing trying and reviewing new palettes. But enough chatting, lets see what I picked up! First of all I got a whole bunch of new brushes. But all of these were for free! Or, not exactly free, but since I am subscribed to the LiveGlam KissMe Liquid Lipstick subscription and the MorpheMe subscription service I get some bonus points that can be exchanged for products. The selection of products you can exchange your points for are absolutely dreadful, but you can get some brushes, so I picked out these. I really like the Y-series from Morphe so most of them are from that line. And since the postal services in Norway are just as dreadful as the bonus point exchange items from Liveglam I did not receive my KissMe liquid lipsticks for December until the middle of January, and off course I got my January bundle as well. The same day actually. I think they look so stunning! That red metallic and the bright red are to die for! The brushes are from the MorpheMe December bundle. This one also arrived way to late (thank you Posten Norge for not having enough employees). I am starting to think I have collected enough brushes lately, and the only thing I am really in need of still are some good eye brushes, especially detail brushes. I don’t know for how long I will continue the MorpheMe subscription. It is a fantastic way to collect and try a nice variety of brushes without breaking the bank, but I must have close to 30 or 40 face brushes by now. And I got my first Blush Tribe orders! I got the colorful Manuza palette and I am loving what I see. I mean look at all those gorgeous blues! I feel so inspired just by looking at this. I also got 6 stunning duochrome pigments. I am thinking I should pair them with the Manuza palettes for some looks. I am very excited about all of these, and off course super excited to test out this brand for the first time. I have heard nothing but good things about Blush Tribe so I am already convinced I will like these products, but I would off course have to try them to figure it out. Swatches are impressive, so my hopes are high. I also got another Nabla eyeshadow palette. This is the Soul Blooming palette. It looks so pretty for spring! This one (along with the Blush Tribe orders) I picked up in December, so this is not a part of my January purchases (speaking of it, I just received one of the orders I placed in January, thanks again Posten Norge). I know I showed you that I picked up the Nabla Poison Garden a while back. I still did not get the chance to use it. I am working my way through the huge pile of palettes I picked up in November (it was 18 if I remember correctly) and I am being super busy at the moment so I am not able to work my way through more than one or two palettes a week! But just be patient. Every single palette I show you here will eventually be reviewed. I just refuse the fact that I am busy to alter the quality of my reviews. I will not review a palette until I have tried every single shade on my eyes with different looks. With small palettes I can get away with doing 4 looks and still using every shade up to a few times, but with bigger palettes I need 8 or maybe 10 looks to try everything properly so everything takes a bit of time. The reason why I am being so busy? We are moving houses! We now live very close to the center of the city (or most of you would call it town since it’s about 75 000 inhabitants, but in Norway that’s a big city). Now we are moving to the countryside where we have a lot of space and our own land and we can go straight out the door and be on out way up one of the most spectacular mountains in the area. Plus we are going to have chickens! I am so excited, but it means I am super busy fixing the old house and preparing it for sale while putting everything into boxes. The list just goes on. But I am also very excited because I will get my own room dedicated for my makeup because there is so much space in the old farm house. I can’t wait to show you that once it’s done. OK, enough rambling, lets get on with the hauls! I am just too excited. No month goes by without a Colourpop order. Here is the Cremé De La Cremé highlighter palette that I already did a review of (I know, super fast on this one), and the Rendezvous Eyeshadow palette which looks sooo pretty, and the lippie is the Ultra Blottet Lip In Halo Effect. This order was also placed in December. And now, we can talk about the things I actually picked up in January and not just all the orders that arrive way too late! The very pretty Salvaje eyeshadow palette and the Dream Sequence Super Shock Highlighter palette. I also wanted the Sweet Nothings palette that was released together with the Rendezvous palette, but it has disappeared from the website. I am a bit confused because they were only there for a short moment and now they are gone. Really keeping my fingers crossed they bring it back, but I guess I have enough eyeshadows to play with for now. I also got this stunning stunning Becca Ocean Jewels Highlighter palette. I swear the formula on these highlighters are better than their usual formula. Super intense and pigmented and just so gorgeous. The packaging is really something else too. It was a limited edition item, and I found it on sale so I am afraid it’s about to disappear, but I am happy I snagged this before it’s gone because it’s absolutely fantastic highlighters. The brushes are from my MorpheMe January subscription. The two other palettes I ordered this month was the Blush Tribe Sonia Zarine palette, and Colourpops Through My Eyes palette. I hope they will arrive any day soon now, but they have to wait until February to be in a hauls post because this train has left the station. As for continuing to reduce my purchases (I call it reduce instead of low-buy because it’s crazy calling one palette a week a low-buy) I will keep the same strategy through February regarding eyeshadow palettes. I can buy four, but preferably less. I also want to limit my purchases in some other areas, so I will not buy any highlighters, lip products or blushes in February. That also includes my lipstick subscription. Wish me luck, because I probably need it! Did you pick up anything nice in January? And what are your favorite trick to reduce buying makeup? Would love to get some tips in the comments!